Purchase an iconic new round and celebration of the Wild, Wild West in an exciting new finish! 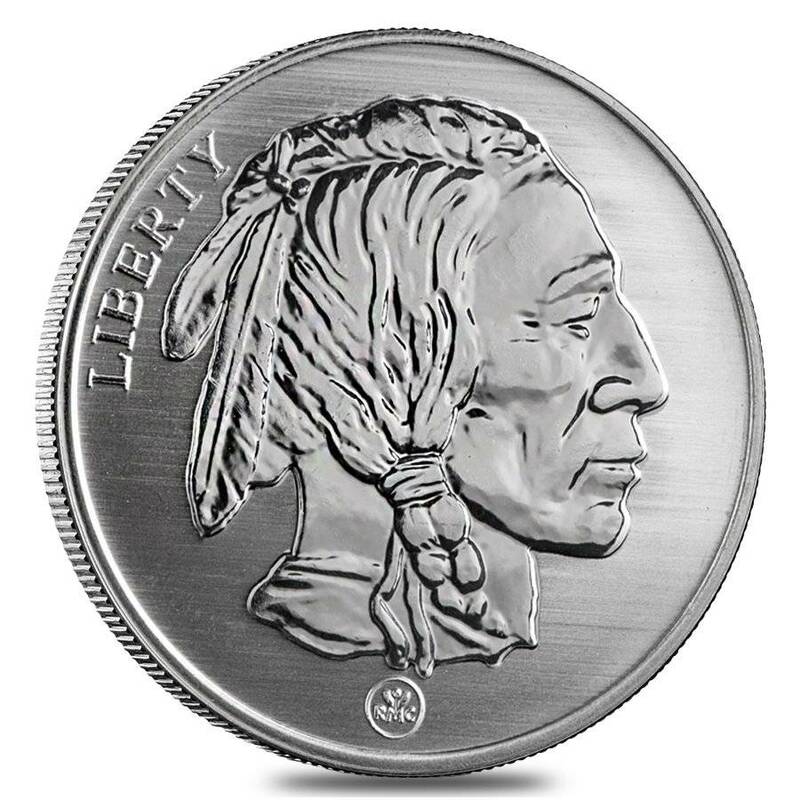 The Buffalo Nickel is one of the most classic designs in American coinage, designed by James Earle Fraser back in the early 1900s and minted between 1913 and 1938. Fraser studied beneath one of the most prominent sculptor-designers of all time, Augustus Saint-Gaudens, who is most well known for his work on the double eagle $20 gold piece, which was minted between 1905 and 1907, and whose design is in current use on the most popular of American bullion, the American Eagle. 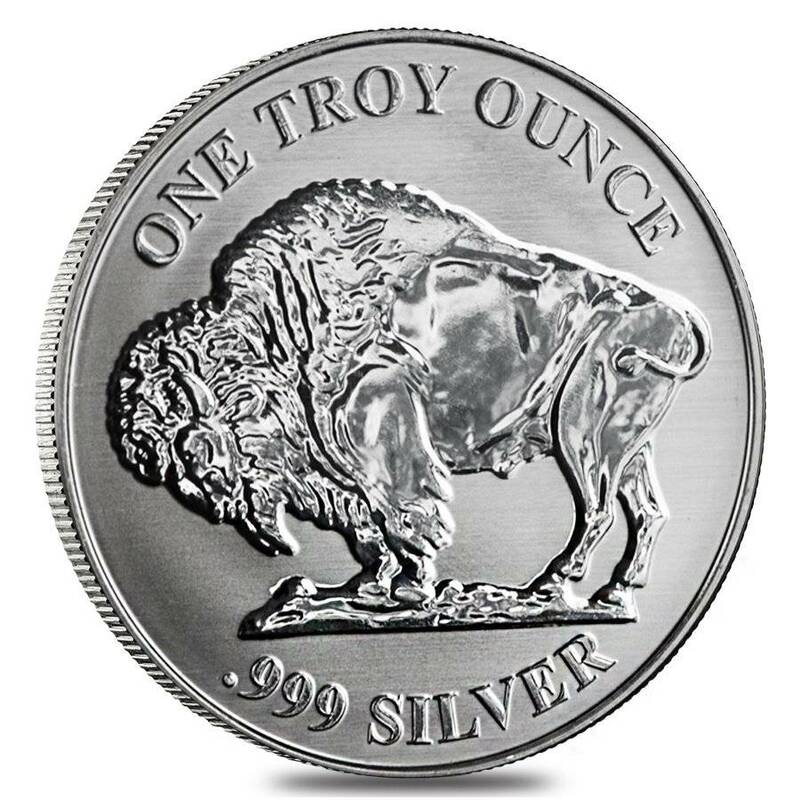 Today, Fraser’s work has inspired the newest round out of the Republic Metals Corporation: the Buffalo Design Reverse Proof Republic Metals 1 oz Silver Round (RMC). This newest release of this classic design is offered in an exciting Reverse Proof finish to offer your collection divisibility and outstanding visual appeal. Proof releases are popular for their high polish and smooth appearance. Reverse Proof releases offer one further layer of appeal with their frosted fields and mirrored devices, creating incredible detail and depth to the image. 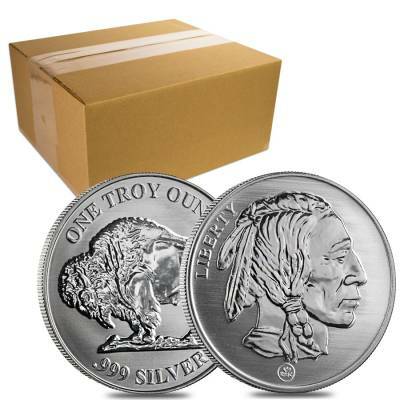 This condition is fairly new on the bullion scene and is quickly gaining momentum. Made from .999 pure silver with a weight of 1 troy oz. Individual coins come in plastic flips. Multiples of 20 come in plastic tubes. Bullion Exchanges offers you a wide selection of exclusive items from renowned international refineries. Add this new release to your collection today, and it will be carefully wrapped, packaged, and delivered to your address. If you have any questions, send us a message through our convenient web portal and our friendly associates will be happy to assist you. I give this product 4 stars not because of anything Bullion Exchanges provided. The coins are as described. They are a great source of basic bullion. It gets 4 stars in that the coins are very basic. The design while it looks good on the web page in fact are pretty poor. 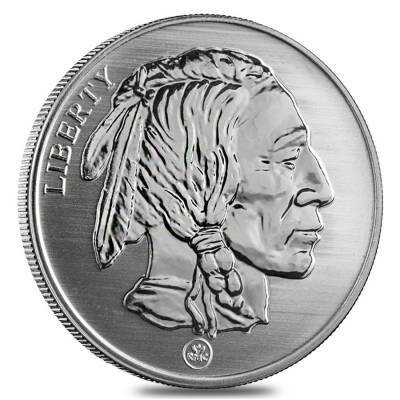 You will have trouble seeing any features other than the broad outline of the Indian head and buffalo. If looking for aesthetics forget it with this coin. Will I purchase again. Probably not as while I don't care to much still I would prefer to have a nice coin that really looks good and like its a collectible. 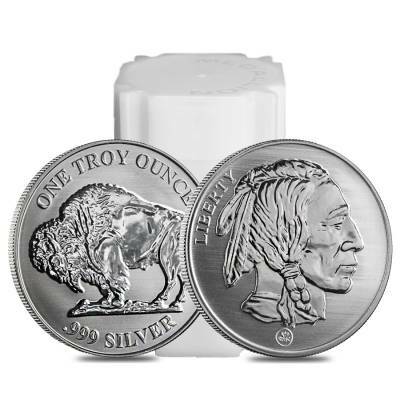 Summary: If you get these at a low premium like I did no complaints as I know have add more silver to my investments. But don't go looking for a pretty coin here. 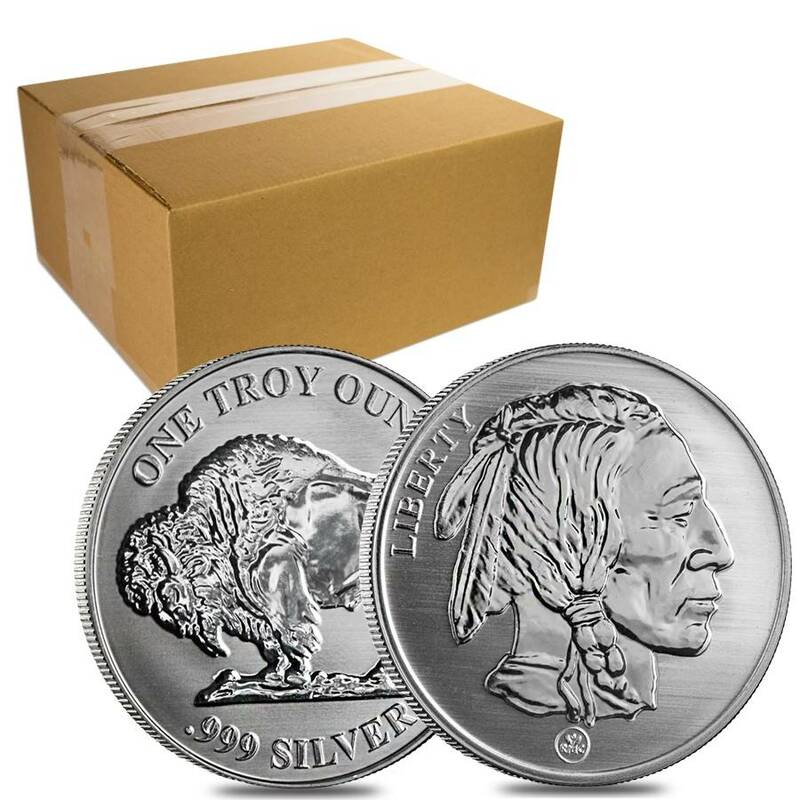 BTW Bullion Exchanges did a great job shipping and packing. Especially considering some other shipments I have gotten from other sources. 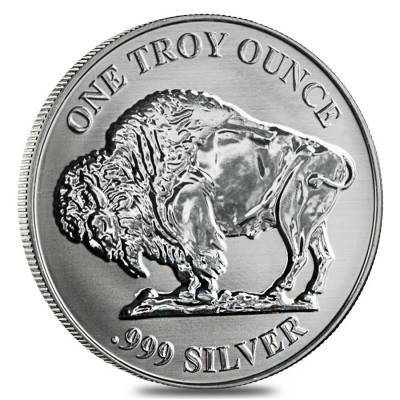 With this purchase, you earn 17 Bullionaire Bucks 17 BB = $0.02. For every $1 spend, you will earn 1 Bullionaire Buck which is equivalent to $0.001 off a future purchase. 17 BB = $0.02.